E-Force Competition Air Intake kits provide the increased air flow needed for racing applications. They include a high flow Mass Air Flow Sensor (on some applications), reusable open element filter, plastic shroud and all necessary hardware for installation. 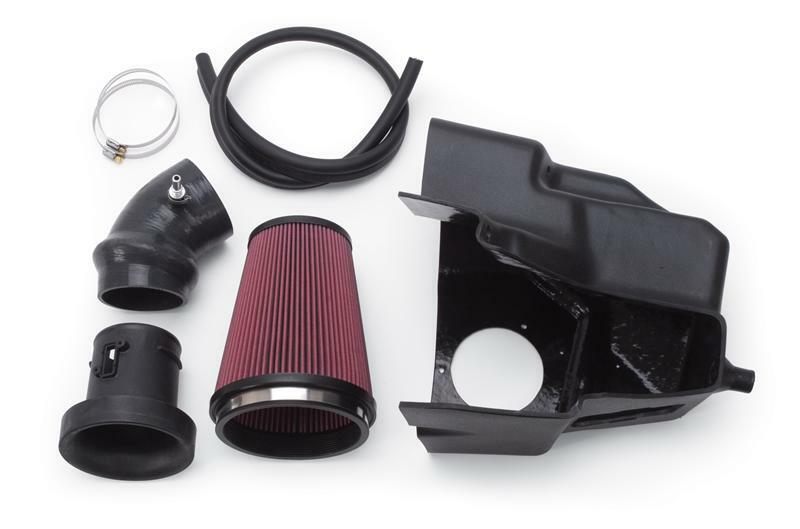 Mustang GT kits include a 7.85” long, reusable, open element filter and a plastic intake shroud. Camaro kit utilizes a 9” long, reusable, open element filter and plastic intake shroud. Kit #15803 is intended for use when upgrading from system #1580, which already includes a sensor. These kits are for Competition use only.